I've had an ASOS delivery today - we'd just come home from our 2 days away so it was lovely to see the Hermes van pull up to take my mind off being back to porridge. 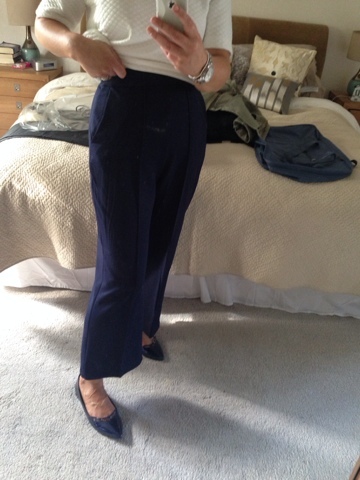 In the parcel was a couple of pairs of cropped wide trousers that I spotted in the sale last week and had to order as together they cost just over £20...with free delivery and free returns - nothing to lose. The first ones are from the Tall range - my thinking was that they would definitely be long enough - as all of the other pairs I've tried so far in my search have been too short. the top isn't quite what I'd wear with them but overall, I do like the shape and the material...length wise, they may be an inch or so too long but that's easily fixed. They're a fairly lightweight material with a texture going through them and they hang really nicely. Size-wise, they're definitely more like a 10 so you may need to size up - especially if you're more of an apple shape. 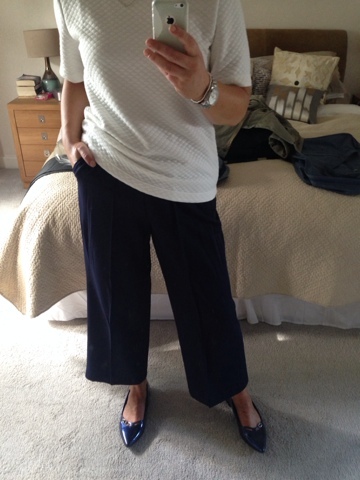 But the best bit - they're £11...no brainer! Keeping these. Next up, it's another bargain - these have since been reduced to £8.50 but I paid £11. 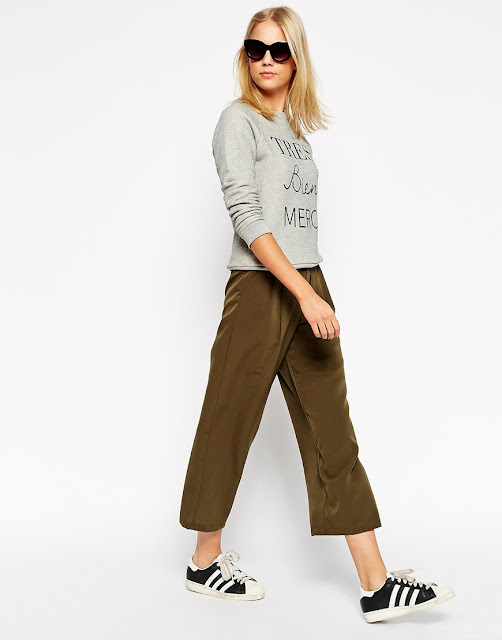 Overall, I'm not sure if this style of trouser will be too dressy for my school run but I'm thinking if I wear them with a denim or biker jacket, they will work. I'm also looking forward to trying the navy ones with long boots in winter. What is hard to see on this photo is that it's got a quilted jersey finish which is lovely and soft and not rigid like quilted tops can sometimes be. Size-wise, I'm wearing the 12 and I need every bit of it around the hips. 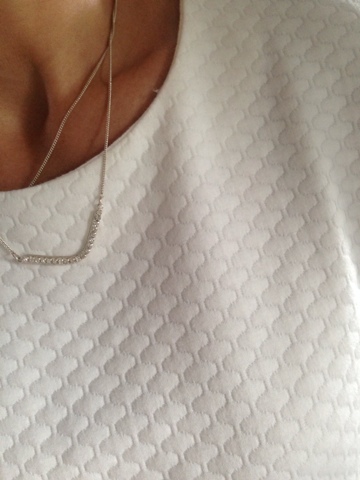 With a zip at the rear neckline and a great length of sleeve, this top is going to be worn and worn. 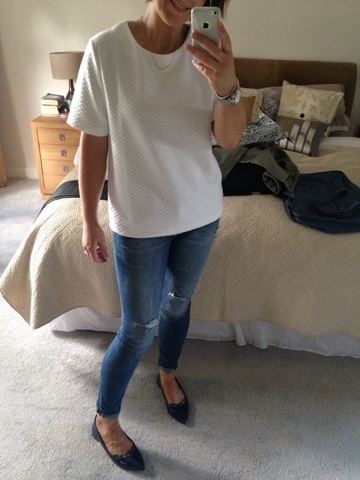 While Hush gifted this top to me to review (knowing my love of a cream top), I will be buying a further one as I'm so pleased with it and as you know, I wear my cream tops ALOT! There's 10% off with free delivery and returns, using the code AWXX15. 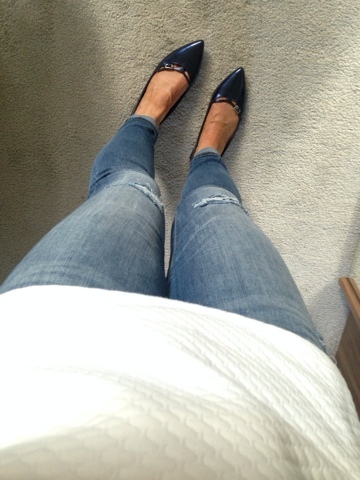 I'm also wearing my best charity shop purchase in a long time - some pointed navy flats from M&S (with Insolia). 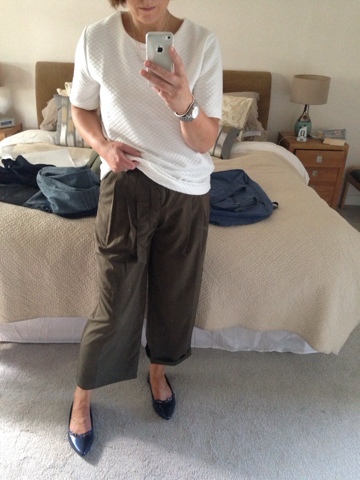 They'd never been worn and cost only £4.95 from the Barnardos Charity Shop in Limavady - my new favourite town! The top is gorgeous! 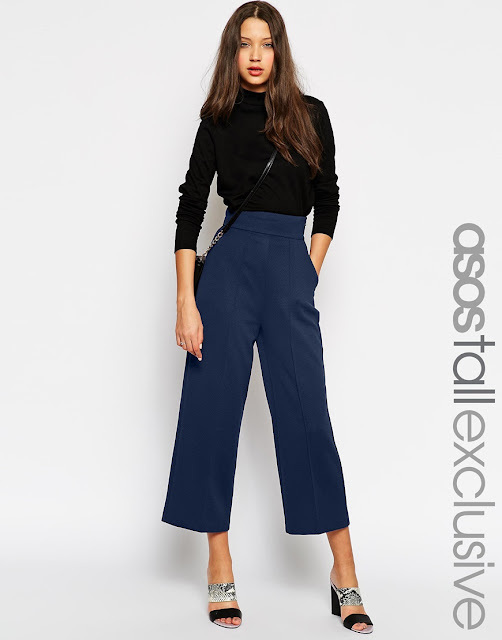 I can't get my head around the cropped trousers, I think I like them on others but know I would look a pratt if I wore them!